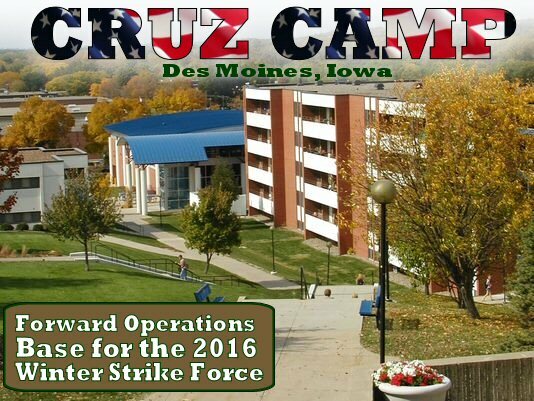 The Ted Cruz Campaign is mobilizing a massive army of dedicated campaign workers from around the nation for a strategic strike force, in Iowa. The key political showdown state will hold its presidential caucus on February 1st, and Ted Cruz has a Camp set up for hundreds of energetic and proficient campaign workers to use as a home base. Campaign officials secured the empty college dorms of AIB Business College (which will soon be the University of Iowa’s Des Moines Campus). The facility will hold hundreds of campaigners who spend multiple days on the stump for Ted Cruz.